YouTuber Frisk P is quick to point out this effect wasn’t created by CG effects. Instead, this is the result of a modded Nerf gun and rotating LEDs. 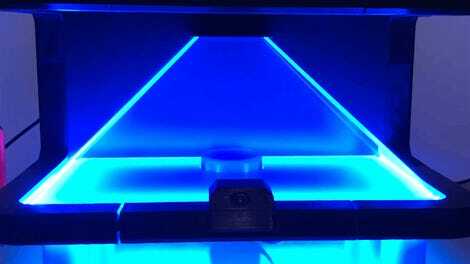 As Get News explains, the effect is generated by a 3D hologram display called the Phantom. Created by Tokyo-based Life Is Style, the Phantom is outfitted with a row of LEDs that can display customized images. It’s a more complex version of those simple LED fans. 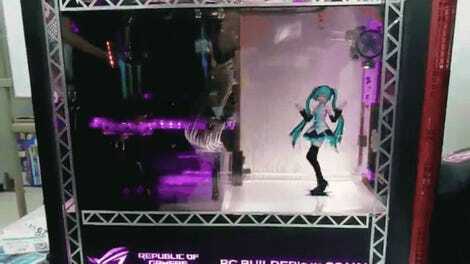 There are a number of companies making 3D hologram displays like this. 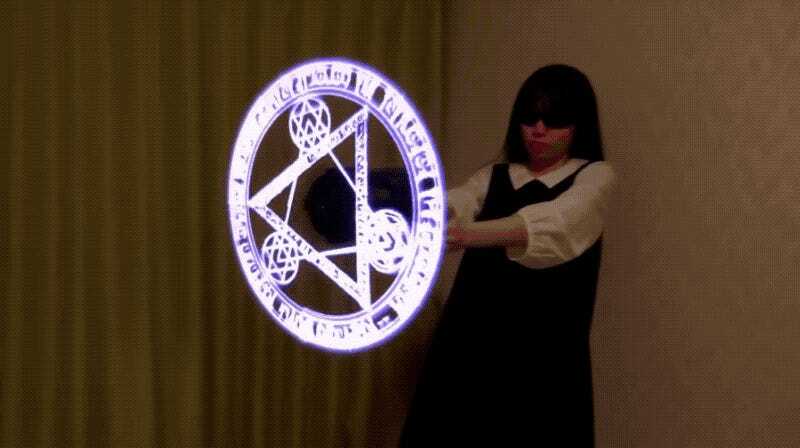 Even though they seem aimed at advertisers, the displays are able to render all sorts of spells.